The Byron Development Program provides year-round training and games for players who aspire to achieve excellence. The program serves players aged U8 to U12. At U8 teams play 5v5, U9 and U10 teams play 7v7 and at U11 and U12 teams play 9v9. Teams play adapted forms of the Byron Style of play with all teams working from a tailored curriculum that will provide players with a fun, energetic and competitive environment focused on individual player development. 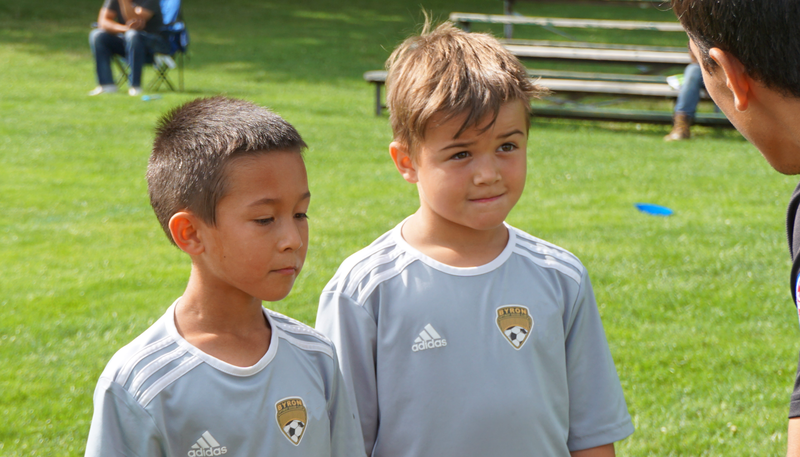 At these ages, the primary focus is to develop technical, confident and passionate young soccer players. Players will be coached on basic small group tactics and game situations but the major focus will remain on technical development. Each tier of the Byron Development Program operates a player pool system. At this stage of a young player’s development, there are a lot of variables that can enhance or impact development and we want to ensure that our players are given the necessary support and time to be able to reach their full potential. While we fully understand how ‘winning’ can positively affect player development, it is a by-product of a solid technical-tactical base and of a club’s player development philosophy. The player pool system provides our coaching staff the opportunity to move players throughout the year to allow maximum opportunity and ensure players are placed in the right environment to maximize their development. Players are split based on ability, attitude, commitment to the game and what Byron think is best for the player’s development. Our emphasis is player-centric with development as the number one priority. We focus on the technical, tactical, physical and psychological development of individual players on a pathway towards maximizing their full potential.